Three large exercises are taking place over the next 24 hours to test the emergency services response to a co-ordinated terrorist attack. There will be simulated incidents taking place in Merseyside, Lincolnshire and Gloucestershire. Specialist teams will be practising search and rescue along with co-ordinating communication. 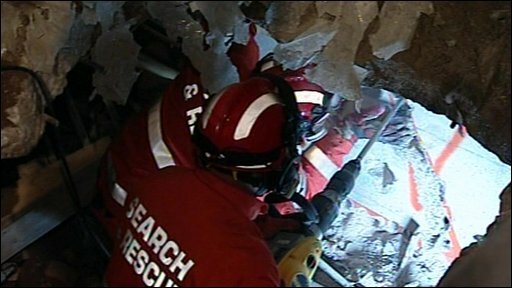 The BBC's Danny Savage has been watching rescue teams in action in Kirkby.